﻿THE BigChilli Company is a major publisher of lifestyle, business and educational magazines in Thailand with a firmly established reputation for quality editorial and cutting edge design. 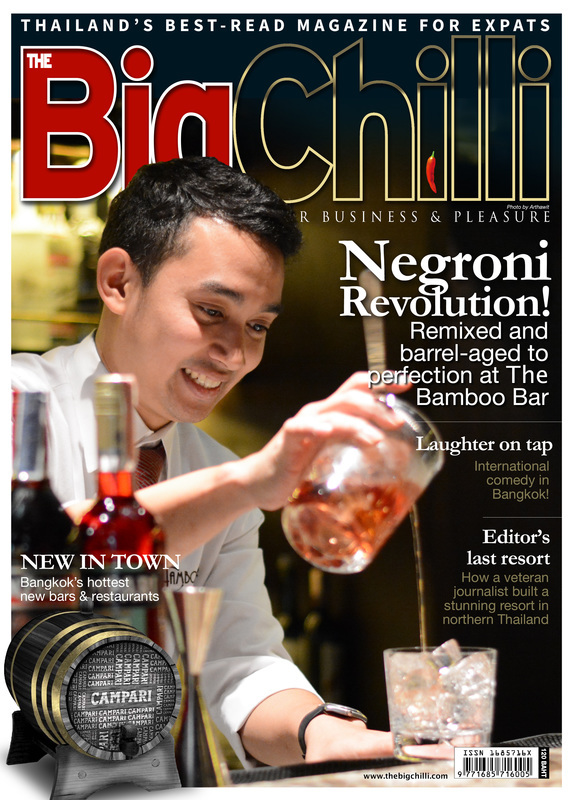 Our Flagship publication, The BigChilli, was first published in November 1999 and is now Bangkok's leading English language magazine for expatriates and internationally educated Thais. Boasting a monthly circulation of over 35,000 copies, The BigChilli is distributed to embassies, banks, international schools, property companies, hospitals, restaurants, bars, hotels and travel agencies. The magazine is also distributed to key areas of Thailand, such as Pattaya, Hua Hin, Rayong, Chiang Mai, Koh Samui and Phuket. What’s more, the magazine is available for purchase at Villa Market, Kinokuniya, Bookazine, Asia Books and all leading independent bookstores, priced at 120 baht. The content of The BigChilli is an editorial mix of news, reviews, people profiles, features, \sport, what’s on guide and much loved social pages. This broad scope makes the magazine an ideal advertising platform for any company looking to target Bangkok’s largest audience. ​Heading The BigChilli Company is Colin Hastings, a former Fleet Street journalist who has spent almost 36 years in Thailand. During this time Colin has worked on virtually every section of the Bangkok Post, including editor of Thailand Tatler, where he was instrumental in the magazine’s successful launch and shaping its development for seven years. The BigChilli Company also handles contract publishing, Public Relations and Creative Advertising.